This makes a great filling for my orange-inflected sufganiyot, and serves as my offering for Thanksgivukkah. In a small saucepan, warm the milk over low heat until it is just hot enough to steam. While the milk is warming, whisk together the egg yolks, pumpkin, sugar, flour, spices, and cornstarch until the mixture is completely smooth. Once the milk is steaming, add half of it, whisking constantly, to the pumpkin mixture. Add the milk and pumpkin back into the hot milk, continue stirring, and heat it for 1-2 minutes, until the custard reaches 170F on a digital thermometer and is very thick. 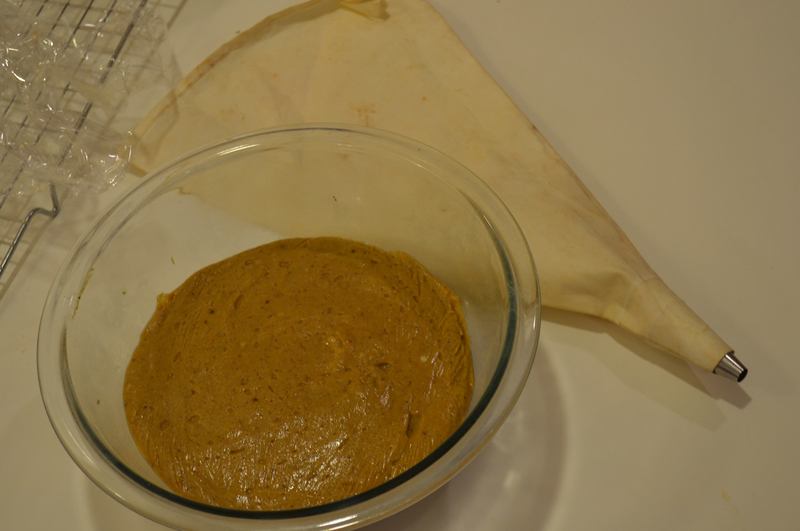 Remove from the heat, stir in the vanilla extract, and chill the pumpkin pastry cream before using it.